Professor Clare Palmer, a researcher in animal and environmental ethics at the Texas A&M University, discusses the most recent advances in animal psychology and their implications for conservation policy worldwide. Recent research into animal cognition has revealed that members of some species can recognize themselves in mirrors, understand that other animals have minds, and are capable of social learning. 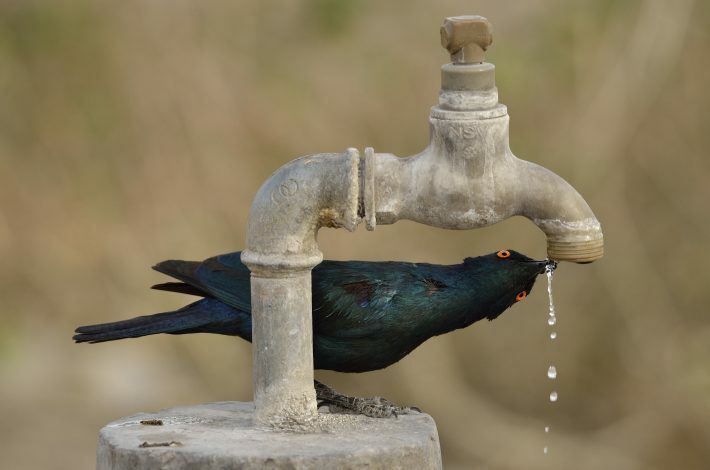 A recent paper by Barrett et al (2018) in Animal Behaviour argues that clever wild animals– especially ones that are bold, neophilic and behaviourally flexible – are particularly well equipped to take advantage of the new resources that humans, often unintentionally, offer them. But such resourceful animals are also likely to be perceived as pests, especially where their boldness and innovative behavior allows them to expand into territory also used or occupied by people. And where wild animals conflict with humans over habitat or resources, the encounter is frequently fatal to the animals. Barrett et al (2018), however, suggest that our growing knowledge of animals’ cognitive abilities could help in developing new ways of outsmarting them, and thus avoiding lethal conflicts. For example, multiple sensory modalities, involving combinations of movements, sounds, smells and tastes, may be more effective in deterring cognitively advanced species than single-mode deterrents. Using tamed, trained members of social species could be effective at keeping wild members of the same species at bay (as where trained captive elephants are used to dissuade or drive away wild relatives). Barrett et al even consider strategies that exploit animals’ cognitive abilities in order to produce co-benefits, such as developing automated trashcan/feeders to reward wild animals with food when the animals deposit litter. This account plausibly suggests that developing research on animal cognition to help in avoiding human/wildlife conflicts, and using this research to inform policy, will be an important wildlife management strategy in future. Reflecting, perhaps, a recent turn towards including concern for individual animal welfare in conservation policy, Barratt et al also claim that highlighting wild animals’ human-like cognitive abilities may help to foster public empathy for them. However, there are reasons to be cautious about this claim. Recent psychological studies–discussed in Kasperbauer’s 2018 book Subhuman–tend to find that the attribution of agential states (such as planning and decision-making) to animals are much less significant than the attribution of phenomenal states (the capacity to have experiences such as pain) in judging animals’ moral importance. People are, for instance, more likely to judge an experiment on monkeys morally wrong if the monkeys are described in terms of their experience (such as their ability to feel pain) rather than their agency (intelligence and inquisitiveness). This psychological research may suggest that a focus on what wild animals feel, rather than on how clever they are, could be a more successful strategy to gain public support for policies to protect wildlife. But having said this, when faced with significant challenges from (for instance) growing rat populations, it seems unlikely that either an emphasis on intelligence or feeling will increase general empathy. In cases such as this, outsmarting the animals by better understanding their cognition may be the best wildlife management response available.